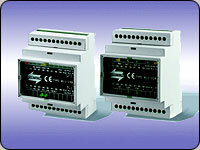 Machinery safety systems from Georjam are based on over 10 years of practical machine safety knowledge and experience. Helping the customer with everything from individual safety product selection right through to be-spoke safety control system design and installation. Industrial machine safety products available from Georjam include safety light curtains, safety relays, safety PLC’s, safety mats, laser scanners, safety gate interlocks, fixed fencing, safety switches and E-Stop buttons. 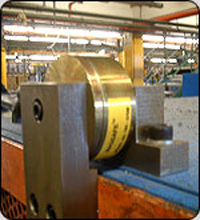 Our machine guarding offering can help you with everything from the initial risk assessment of the machine through, safety system design, product selection, installation, commissioning, routine maintenance and machine safety product repairs. In addition we can provide machine safety consultancy, machine safety training courses and CE Marking, covering all aspects of the CE Marking process including risk assessment, Standards and Machinery Directive compliance, Technical file writing and the Declaration of Conformity. It is becoming increasingly daunting to keep up to date with all the latest machine safety standards, EN 954-1, BS EN 60204-1, BS EN13849, BS EN ISO 14121-1, BS EN 62061, EN 13849-1 and many others. Georjam has access to machine safety consultants who can help you with the interpretation and implementation of machine safety standards and the Machinery Directive. 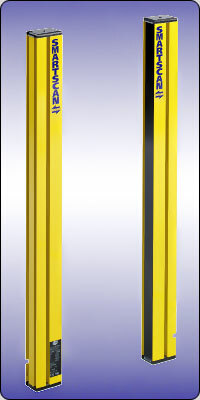 Safety light curtain solutions cover Point of Operation guarding with 14mm and 30mm object detection capability (ODC). Perimeter guarding systems with light curtain ranges up to 40m and mirror solutions for low cost safety light curtain solutions.